I was so excited to get started on this project that I didn't take any before pictures. I snapped this one real quick as I was putting on the first coat of primer. Two coats of primer later and I was ready to do my favorite part, Wallpaper. I searched online and found a ton of wallpaper that I loved. The only problem was they were really expensive and most companies required you order at least 2 rolls. I definitely didn't need two rolls for this project, so on a whim I checked out Lowe's and Home Depot. That's when I found the Allen and Roth Spanish Style Wallpaper in stock at Lowe's. It wasn't exactly what I was looking for, but I was willing to compromise if it meant saving a few bucks. I cut two pieces then added them to each drawer. 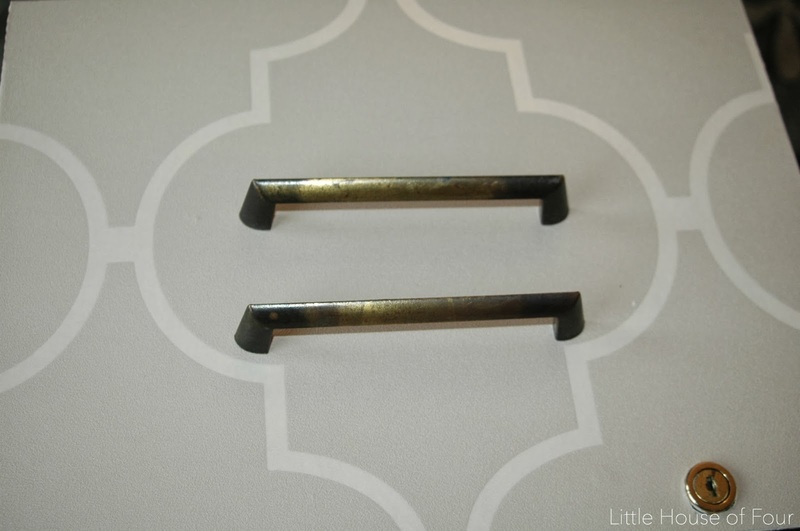 I took off the original handles and rubbed on gold leaf Rub 'n Buff. I quickly realized the wallpaper didn't match up 100%, but it was close enough for me. 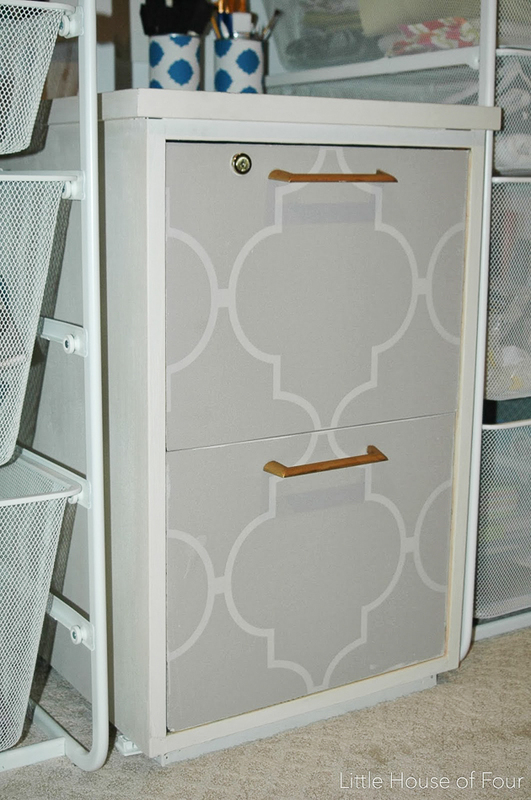 After the wallpaper was dry I painted the rest of the cabinet in Dove white chalk paint. I originally wasn't going to use chalk paint, so that's why I primed it first. 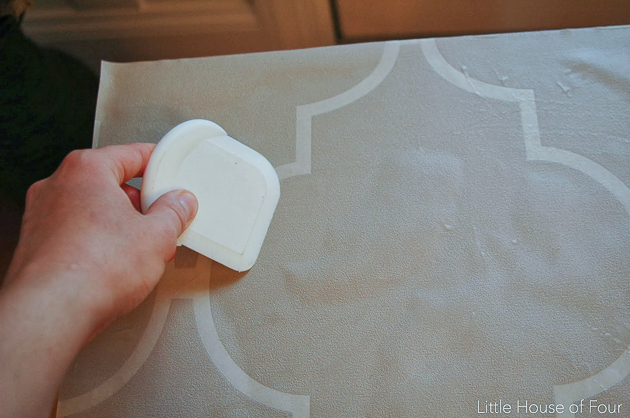 If you're using chalk paint there's no need to use primer. Since I reused the handles and used paint I already had, this entire project only cost $21.00. Not bad for a solid wood file cabinet. 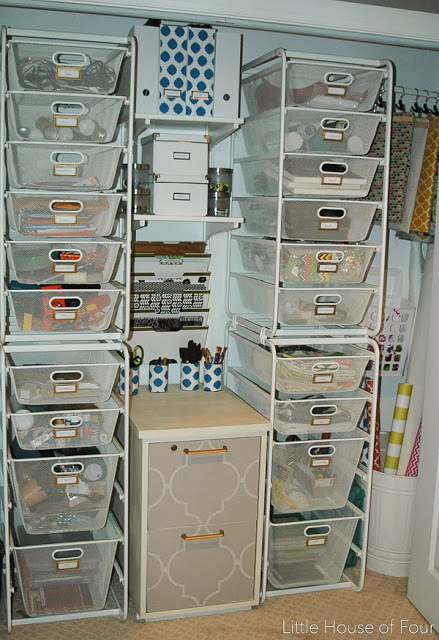 See the complete organized craft closet here! 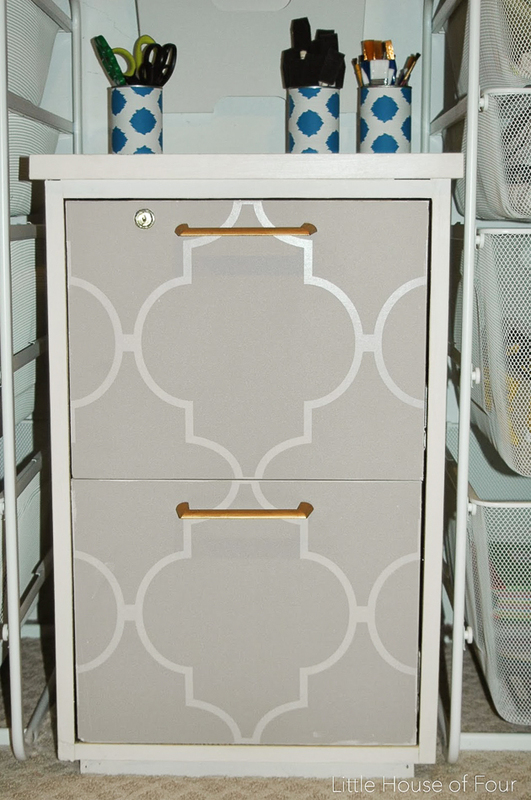 Hi Katie, your cute filing cabinet caught my eye over at the That DIY Party. 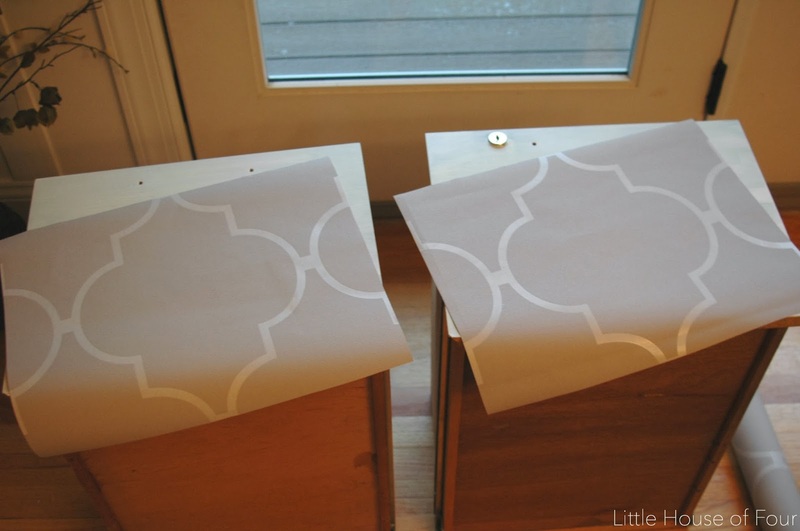 You'd never know from the picture that you used wallpaper - great idea! I have a file cabinet sitting all ugly in the basement! Inspiration! Thanks, Katie!!! I'm glad I gave you some inspiration :) Let me know if you need help making over the ugly file cabinet. I have a ton of wallpaper left if you want to use it! I think that wallpaper is exactly what I've been looking for for a project of mine! So glad I found this! Aww, I'm glad you stopped by. I hope the wallpaper works for your project! Hi Sarah! 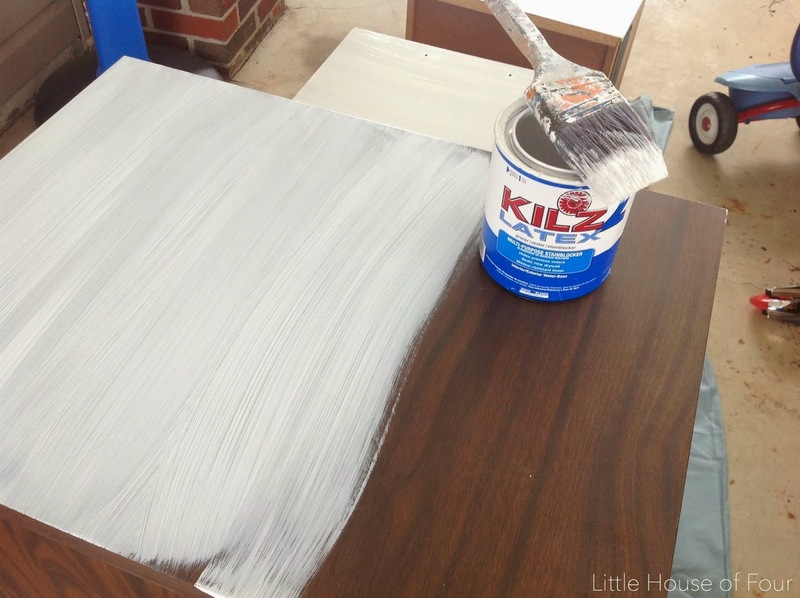 Chalk paint can pretty much be used on any surface and there is no need to prime, although I like to prime with a stain blocking primer if I'm painting over stained wood. (sometimes the bleeds through light colored chalk paint) You shouldn't have any probelm painting on metal. 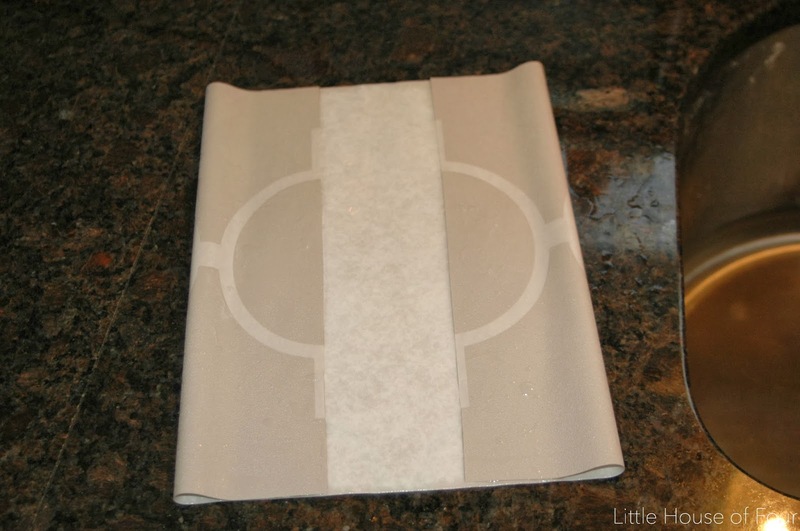 You may want to sand the metal with a med-high grit sandpaper just to make sure the paint adheres better. I've used a brush and foam roller and both worked out great. 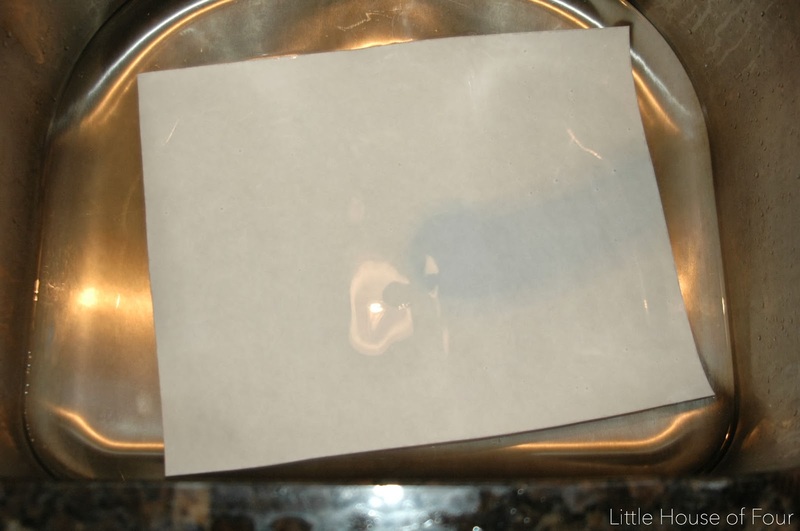 The wax is needed to seal the paint, so don't skip the wax! 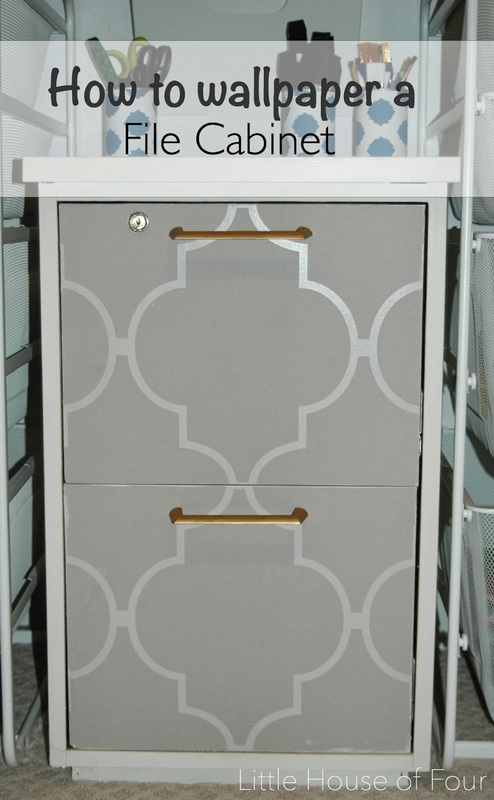 The chalk paint I've used is CeCe Caldwell and I bought it from a local shop. Most stores don't carry chalk paint, so you'll probably have to order it online. 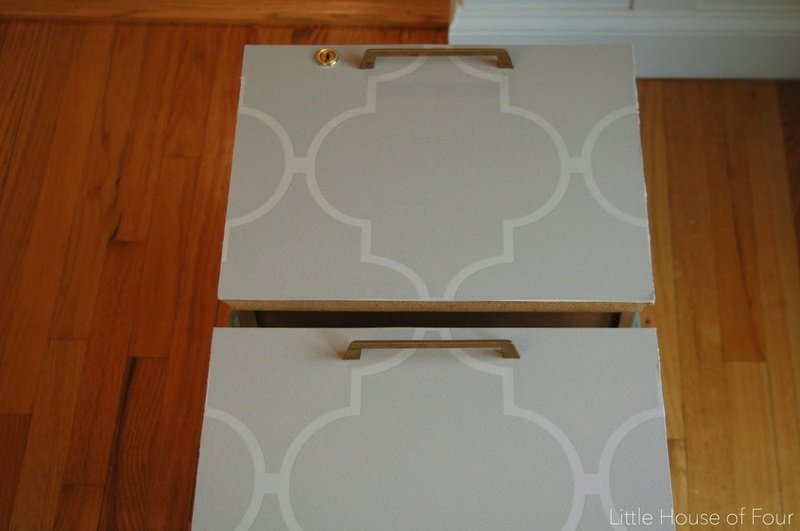 Chalk paint is great for it's ease use, so you should do fine! 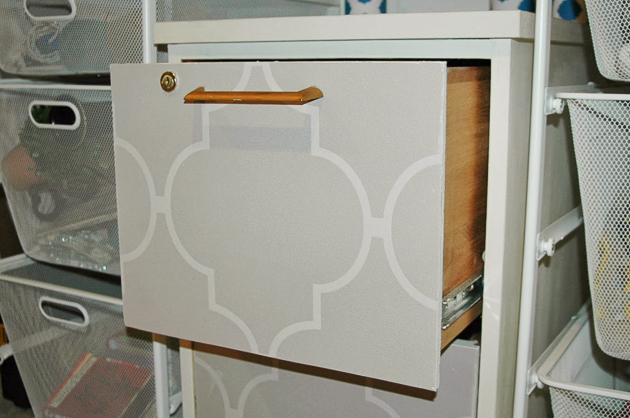 The file cabinet definitely looks way better than before! 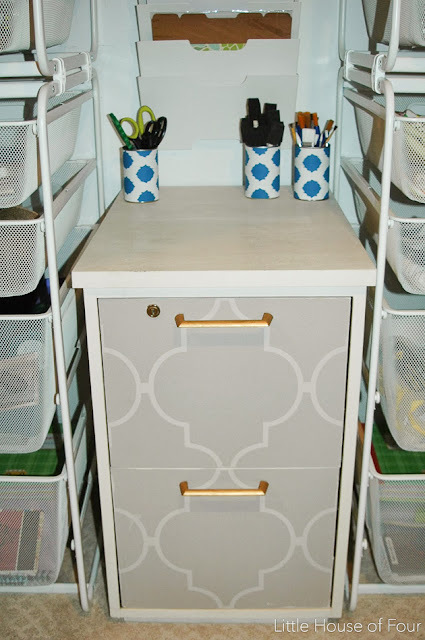 I tend to like plaid more, so maybe I could do some of this with my cabinet using plaid prints. Though I wish I had your steady hands; I fail at pressing wallpapers on glue, and I often find myself either leaving bubbles or an irreversible crease. Anyways, thanks for the idea. Cheers!